A recreational ski lake on the Indiana-Michigan state line. 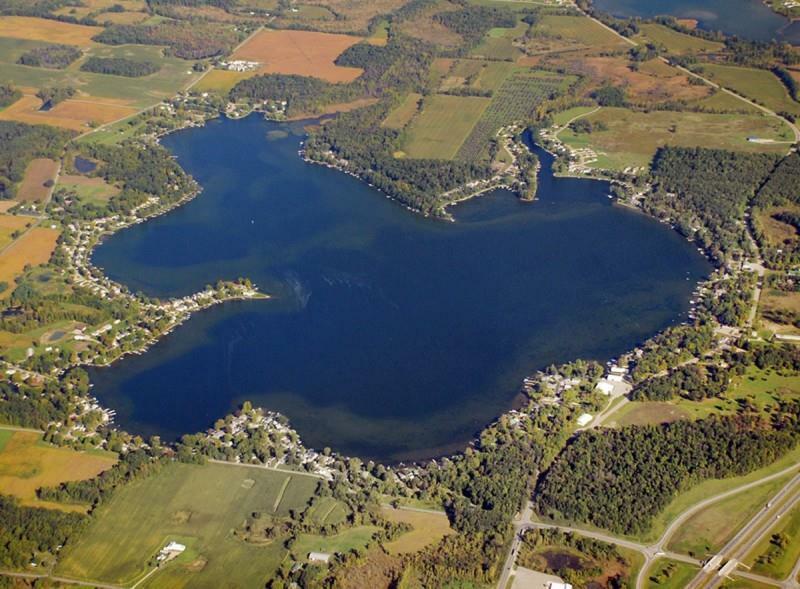 This lake is 2/3 in Steuben County, Indiana and 1/3 in Branch County, Michigan. 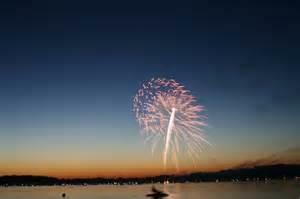 Nearby towns are Fremont, Indiana, Angola, Indiana , Kinderhook, Michigan, and Coldwater, Michigan. The Mill Pond (and dam built in the 1930s) are located at the south end of the lake, where the once-prosperous community of Jamestown is located. Important land features include Brown's point and Grandy's (also known as Kope Kon) point. Historical commercial enterprises include Wolfe's (typically called Wolfie's) grocery store at the Mill Pond, Clay's restaurant, Lake George Retreat restaurant, Tom's Donuts, and Lake George Marina. Lake George Marina was acquired by Dream Toy Store in 2009, and is now called Dream Toy Store at Lake George. 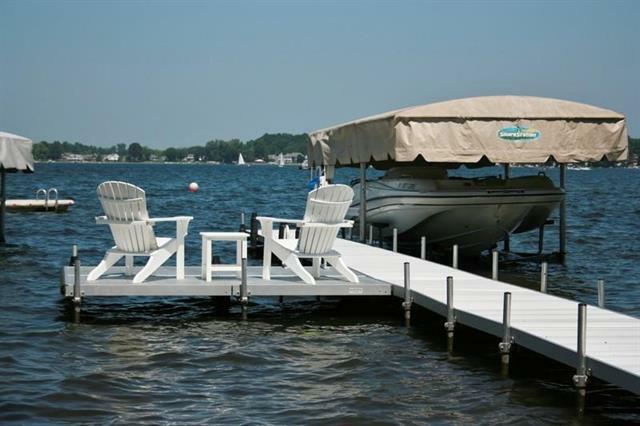 It is the only Marina on the lake, and does not offer boat rentals. 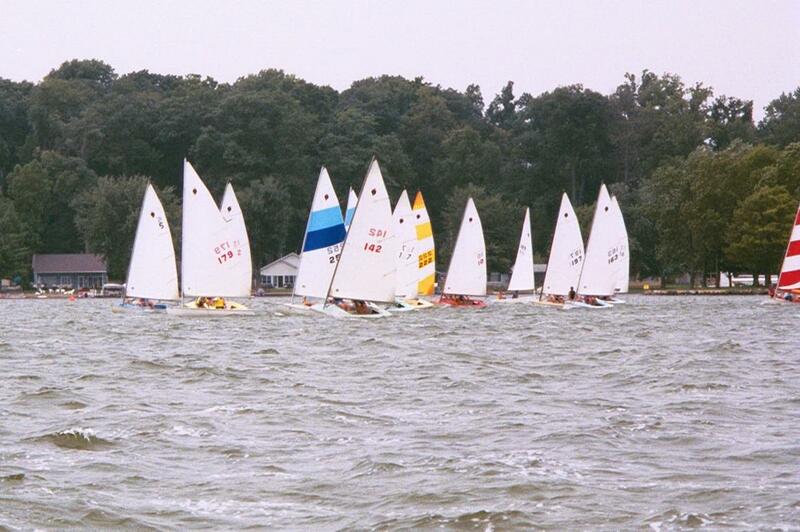 The lake is home to the international headquarters of the Inland cat Class Sailing Association and the home of the Lake George Cottagers Association, established in 1927. 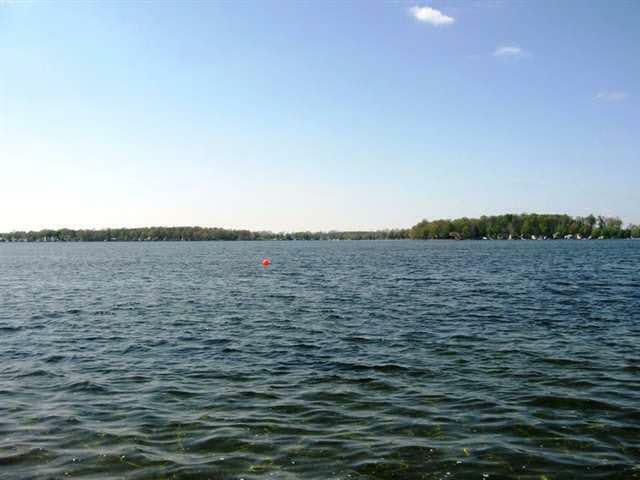 Once almost exclusively surrounded by seasonal cottages, the lake is now the year-round home to most residents. Many older cottages/vacation homes are being demolished or completely rebuilt into larger permanent homes. It is commonly rumored that John Dillinger and members of his infamous bank-robbing gang hid out on a lake front home that still stands on the lake today. The location was supposedly chosen due to its proximity to the Indiana/Michigan state line, making it easier for the gang to evade local police.